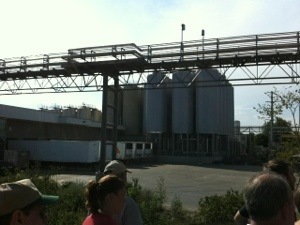 So, we went to more breweries today. 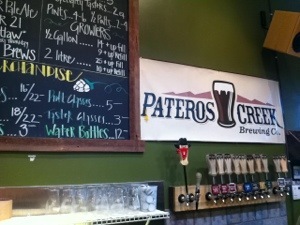 These included Funkwerks, New Belgium, and a little place called Pateros Creek Brewing Co. Man did we had some fun. While the 90 minute New Belgium tour was a tad cheesy , we at least got to pour our own beers and tasted a bunch of cool stuff. 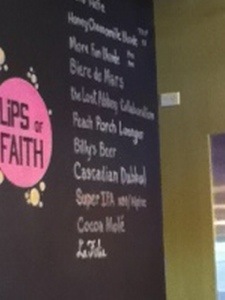 Plus, the tap room had a ton of Lips of Faith stuff. Funkwerks was really freakin’ cool. 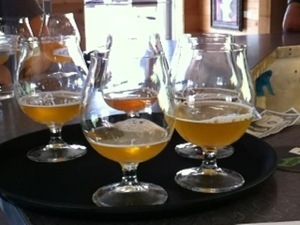 Basically all Saisons, great twists on the style, and a fun atmosphere. Pateros Creek was fantastic. Met Steve the owner, tasted great beers including a ridiculous coconut porter and a delicious kolsch. Great time. We’ll add more later. Loving Fort Collins. Thanks to the Beverage Business Institute for being so hospitable. Would never have found Equinox Brewing without the help of our new friend Napa of Beer Girl (god I hope I got that right). Cheers for now. More updates tomorrow. Posted in Alehouses.Tagged Aleheads CO beer trip, Fort Collins, funk weeks, New Belgium, Pateros creek. This might be our drunkest post ever. Also our most phone auto-corrected post. As a proud CSU RAM, class of 2001, and frequent visitor during my time in Beer Collins (there is no damn fort) to it’s many breweries, brewpubs, etc. I applaud you for giving the most underrated beer crazy city in the USA it’s due. I am heading back for the first time since I graduated and left in December 2001 this coming October and I can’t freaking wait!!! A couple of suggestions, go try the Total Disorder Porter at CB & Potts, we loved that stuff in college even though the brewpub is no big deal, and most definitely go to Coopersmith’s in Old Town. Ask for a Franklin’s Tower (I think that’s what it was called), it is a blend of their Punjabi IPA and something else. Franklin’s Tower…is that a Phish reference? Was HC Berger and Lindens still around then? Definitely never said they were the best beers in town just two they should try. Sweet! Is the East Coast still in business? Trailhead? Steakout? We will be there for Homecoming weekend, I think it’s October 5-7. Cannot wait! I was just about to say “good lord I hope you spell check this in the morning! Great night guys! Drunkest post ever. And that is saying something. Franklin’s Tower is a Dead reference, and you should probably be killed. I love Fort Collins! If you have the opportunity, go to The Mayor. One of the best beer bars I have been to. We went through about a month ago and there was a lot of construction, which was off putting, but definitely worth navigating. They do 4 oz $2 tasters of 100 beers on tap! Not only did we try things we would never have had the opportunity to, but things we may have overlooked at a bottle shop (Peach Berliner Weiss from Crabtree? Yes, please!) The bill at the end was ridiculously reasonable. Also, if you have the opportunity to check out bottle shops, Wilburs is a perennial favorite. People are citing drunkenness in this post? That seems a good indication that you are just enjoying one of my favorite beer cities to it’s fullest! Cheers!